Stephens & Gatewood Dentistry will always do whatever we can to preserve your natural teeth for as long as possible, but when we’ve exhausted all your other options, extraction can be a solution. There are also other surgical solutions that can strengthen gums, jaws and teeth, repair teeth, sand sometimes even save them. No one loves hearing the word “surgery”, but you’re in good hands with us. We perform many oral surgery procedures, and we have anesthesiologist-assisted IV sedation available (more details on our sedation dentistry page). Whether you’re having a routine tooth extraction or bone grafting, our skilled dentists have you covered. A common expression is “it’s just like pulling teeth”, but our dentists extract teeth every day with ease. We do everything we can to help keep your natural teeth. Teeth are usually extracted to make more room in your jaw. Extractions can be needed prior to other treatments. Sometimes a tooth can’t be saved, and extraction is the safest solution. Extraction may be deemed necessary when a tooth is too damaged, infected, or impacted to remain safely in the mouth. In cases when a tooth is too crooked to be straightened or is preventing healthy movement of surrounding teeth to the places they belong, extraction may also be recommended. When we recommend the extraction of a tooth, we feel that the tooth in question has the potential to damage surrounding teeth and tissues, further compromising your oral health and making extensive future treatment a real possibility—circumstances we would like to prevent. Dental implant placement is one of our oral surgery services. (For more details about dental implants, please see our dental implants page). Dental implants are surgically placed directly into the jaw. Healing times will vary depending on patient and gum health. A second non-surgical appointment completes your implant. Dental implants are the #1 tooth replacement solution among doctors and patients alike. Dental implants are placed (and later restored) in-house. There’s no need to see a specialist—our dentists are ready to provide top-notch implant dentistry. Dental implants are secure, permanent, and easy to maintain—in fact, they are cared for just like natural teeth. You can eat, drink, chew, sing and smile again without worry! There’s No Need to Fear Oral Surgery – We’ll Take Good Care of You! If you have questions about oral surgery, get in touch with us today. If you have a badly decayed or broken tooth and there isn’t enough natural crown remaining above your gumline to affix a crown restoration, we may recommend a crown lengthening procedure. Crown lengthening preserves your healthy tooth root. The process also prepares the actual tooth for a dental restoration. Ultimately, crown lengthening saves teeth from extraction. 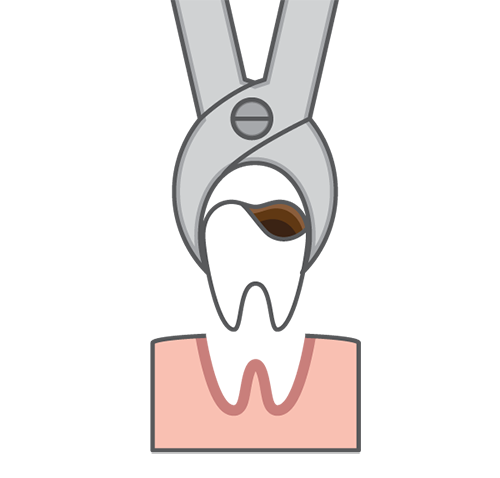 Crown Lengthening is a dental procedure that saves teeth from extraction. When not enough of your tooth sticks out above the gum to support a filling or a crown, a crown lengthening procedure can be a viable solution. The surgery is designed to reshape the gums at the base of the designated tooth in order to expose more of its surface. 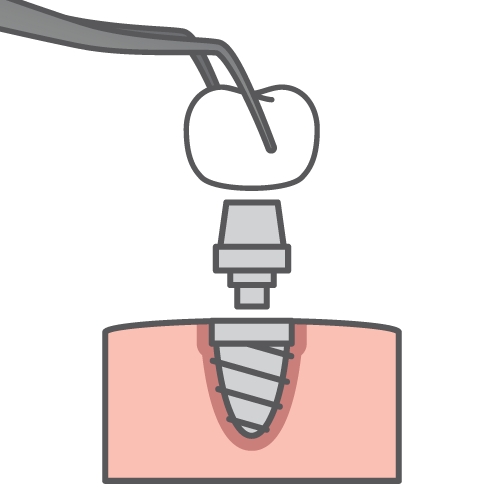 Crown lengthening can remove excess gum and bone tissue to allow a filling or crown, but it is also useful for access to hard-to-reach cavities and perforations in the mouth. Our dentists are clinicians with an artist’s eye–and they love a challenge. If you need many–or all–of your teeth replaced, ask us about full-mouth reconstruction. You and your dentist will map out your treatment plan together. We will work with your budget and schedule. We will juggle logistics like healing times and other constraints. You will be involved in every step of the process—it’s your mouth! A full-mouth reconstruction treatment plan schedules the procedures that bring back your smile. One of the most rewarding parts of any dentist’s career is achieving beautiful results for patients that needed extensive work done. There’s nothing Stephens & Gatewood Dentistry loves to see more than happy smiles on our patients’ faces. Any combination of implants, oral surgery, and restorative procedures can be part of your treatment plan. We keep your convenience, budget, and health in mind when scheduling the services you need. Ask us about our flexible financing options! Bone grafting is used to supplement the jawbone following atrophy, providing a solid base before placing a dental implant. Bone grafting helps maintain the facial structure, jaw, and bite. Compromised or lost tissue can be supplemented with bone grafts. Jawbone deterioration can be the result of untreated gum disease. Bone grafting can preserve your facial structure as well as your teeth. Some patients are not considered good implant candidates due to insufficient bony tissue in the designated placement area for the implant posts—bone loss increases the risk of implant failure. Most of these patients are good candidates for a bone grafting procedure, so one may be recommended. The purpose of a bone grafting procedure is to augment bone in a specific area. Even if you’re currently not considered a favorable candidate for a dental implant, a bone grafting procedure is a potential solution.